This article originally appeared in the JULY 1, 2007 issue of Hemmings Motor News. South America has long been a hotbed of automotive production, with manufacturers both large and small developing product specifically for native consumption. 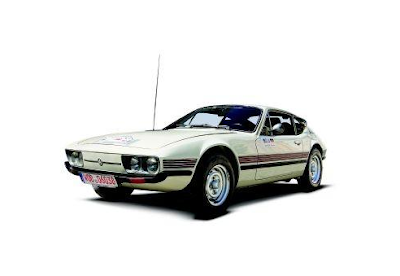 But perhaps nothing from a major automotive manufacturer was as stunningly styled, or completely ignored, as the Volkswagen SP2. The SP2's roots are firmly planted in Brazil, with direction from Volkswagen of Brazil's German management, engineering staff and designers. According to Karl Ludvigsen in an article entitled "Volkswagen's Beautiful Beetle" in Hemmings Sports & Exotic Car #20, Volkswagen do Brasil's chief, Rudolf Leiding, instructed his staff to build an updated version of the Karmann Ghia, one that would signal the Brazilian wing's independence from the parent company in Wolfsburg. Leiding's problem, of course, was that engineering a car from the ground up cost a lot of money, especially for a low-production car like an updated Karmann Ghia. "The sole constraint," Ludvigsen wrote, "was that it had to fit the existing Brazilian VW chassis." 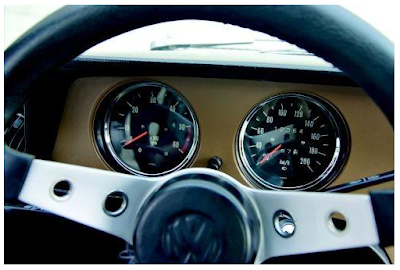 That chassis was the VW Variant--more commonly recognized here as the lackluster 412. Rolling on the 412's 94.5-inch wheelbase, the SP2 carried all of the 412's suspension parts, as well a 75hp version of the 412's flat-four 1,678cc aircooled engine. The mechanicals, in other words, are nothing to write home about. But styling is the SP2's calling card. It is a stunningly pretty automobile, with a long front overhang with brooding quad headlamps, with a rounded rear fastback, accented by gills aft of the rear quarter window. Under the glass hatch is the engine bay, which is concealed by a carpeted panel held down with seatbelt-style straps. Inside, there's room for just two, plus a good amount of luggage, provided it's not perishable. The cargo area's proximity to the engine bay makes it a warm place to store ice cream. 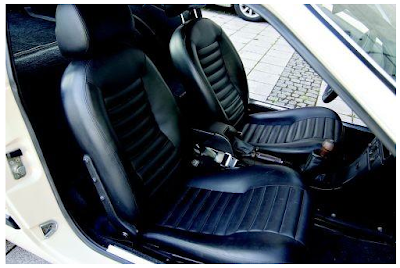 The passenger compartment is business-like, but 1970s-era sporty, with textured vinyl bucket seats and a wood-like plastic dash housing the full complement of instruments. The 75hp four doesn't make the SP2 fast, by any means. Period tests put its zero to 60-mph time at somewhere around 16 seconds. Ride quality for a low-production sport coupe from the 1970s was incredible. The full frames around the door glass and the tight overall construction make the SP2 absolutely solid, even over cobblestone roads. It certainly doesn't feel like a sports car from that dark era following the 1960s. Cornering is decent, though over undulating, twisty country lanes, the presence of the rear-mounted engine will announce itself even on mild throttle liftoff. 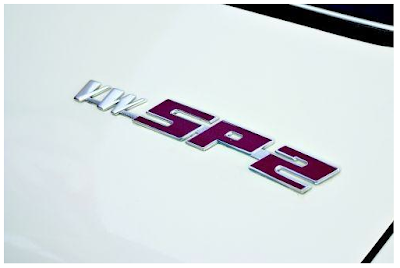 But the SP2 was a GT, more than a sports car. SP2s rarely come up for sale in the United States, but considering their rarity, they're not priced out of line. A recent example came up for sale outside Car-lisle, Pennsylvania, with an asking price of $18,000. Last summer, I drove an SP2 in Germany's 2000km durch Deutschland, a 2,000km vintage car rally. In every small German town we drove through, enthusiastic vintage car fans clamored to see the car, and ask questions about its provenance. Without fail, when a Volkswagen PR representative indicated that it was built in Brazil, the interested party's mouth formed an "o," the international symbol for shock and surprise. Aside from the lack of air conditioning (coupled with a black vinyl interior), the SP2 made a civilized, stylish touring companion that never failed to draw a crowd. It's like a 412 and a Gremlin had a child...I love it. Vintage Tuesday! A Republican driving a bug? Vintage Tuesday! New York State Bug. Vintage Tuesday! - Bug and blue hairs. Vintage Tuesday! Stand by your Bug.